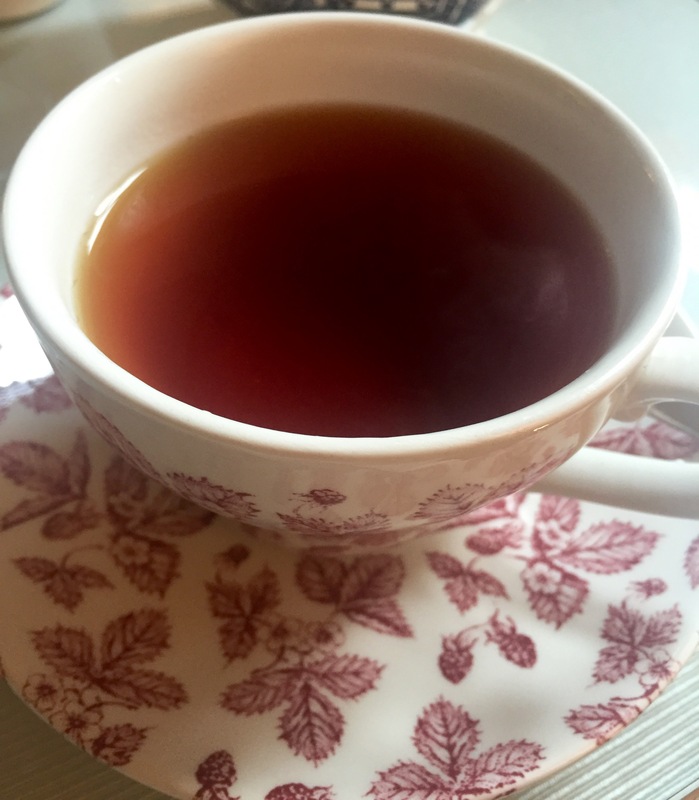 Today I’m celebrating Queen Elizabeth II’s 90th birthday with a slap up tea. She’s Britain’s longest-reigning monarch and a lady of amazing dignity and strength (in my opinion anyway). 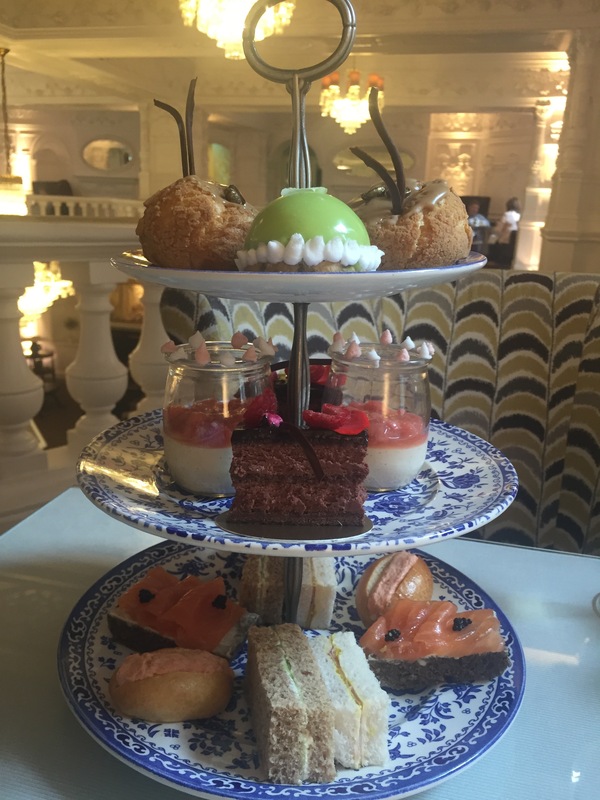 And where better to celebrate her life than at the stylish St Ermin’s Hotel in London’s St James where they’ve laid on a Royal Tea in her honour. It’s available through the summer until August 31. 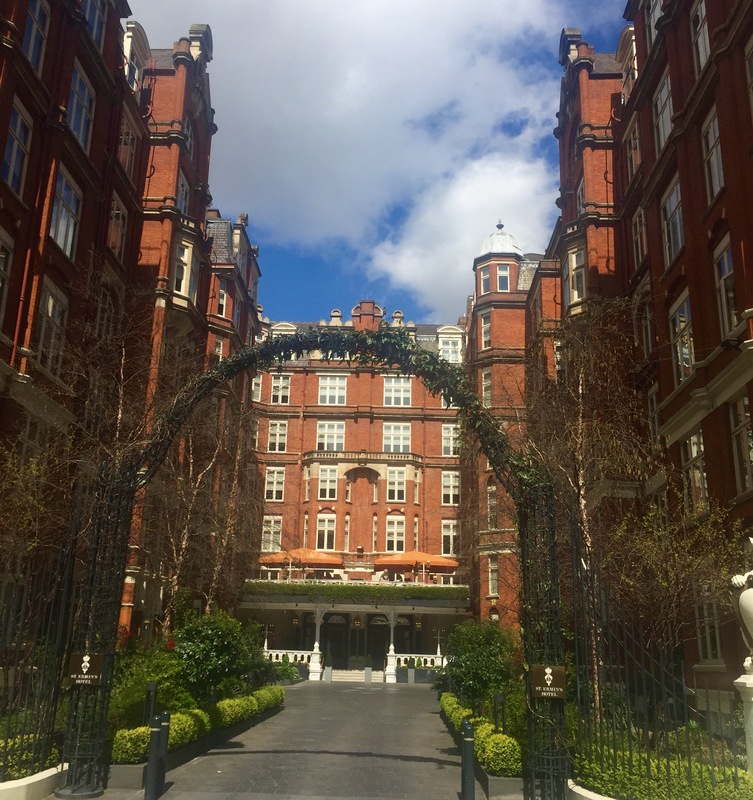 You enter the St Ermin’s through a lovely courtyard garden. Inside the grand lobby impresses with its marble columns and the sweeping staircase that leads up to the tea room. There’s also a lovely upstairs terrace should the sun decide to show its face on your Royal Tea day. 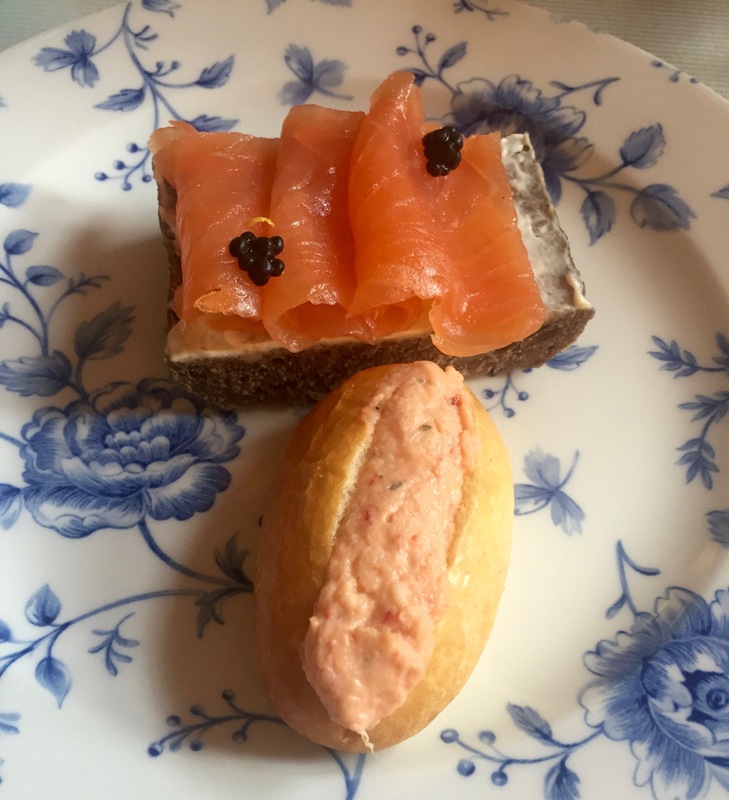 The menu includes a selection of dainty sandwiches, or savoury bites as they call them here. Three different types of scones served with strawberry jam and cream and four generous sweet treats. But first you have to select your tea from the wide range on offer – no easy feat. I eventually opted for a Japanese sencha tea to start which was beautifully aromatic. 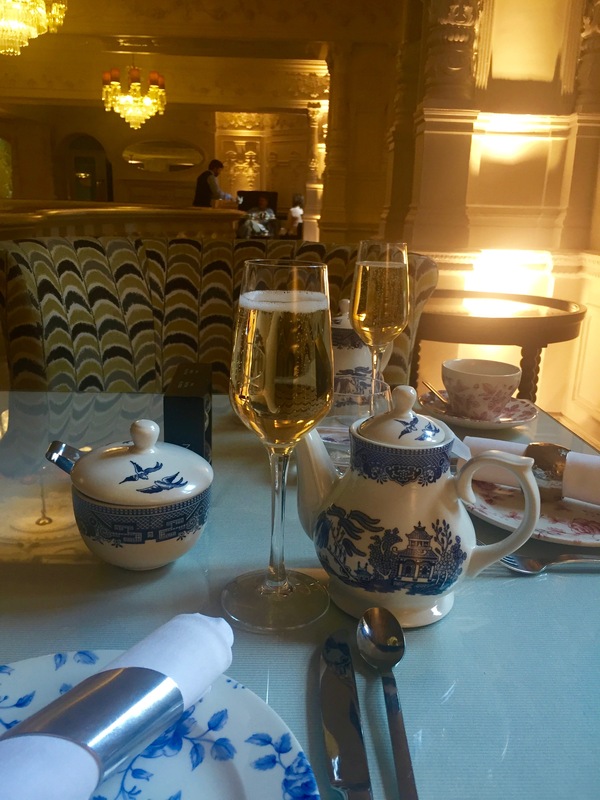 And of course we had to treat ourselves to some bubbles – it was a birthday party after all. And then the tower of delicious delicacies arrived. It all looked so beautiful, a full cake stand is always something to get excited about. 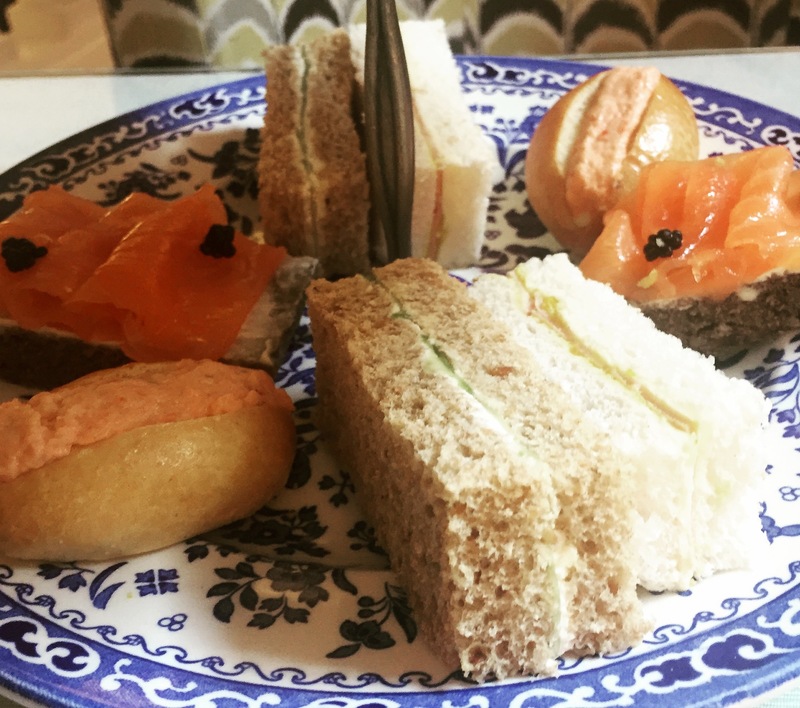 We started savoury with four delightful little finger sandwiches in different styles (and no crusts, of course). Dressed Cornish lobster was served on a mini toasted brioche. I’m very partial to a brioche, and to lobster of course so this was the perfect start for me. Home-cured Puddleduck ham was served with a mellow London Piccalilli on the freshest of white loaf – could you get more British? Hampshire organic cucumber came on delightful brown bread with classic English cream cheese. And finally an open sandwich of Orkney smoked salmon sandwich served on organic brown bread. I love sandwiches, especially of the dainty sort, I’m sure I could manage a whole platter of this delightful combo of flavours. And then it was on to the sweet treats. On the top layer was The Golden Orb: Scottish shortbread with pistachio, lemon lime curd dome with a bejewelled glaze. Beautifully crunchy shortbread topped with a zest, sweet and creamy dome. The Crowning Joy was an espresso choux bun with Decort chocolate. A melt-in-the-mouth chocolatey treat. 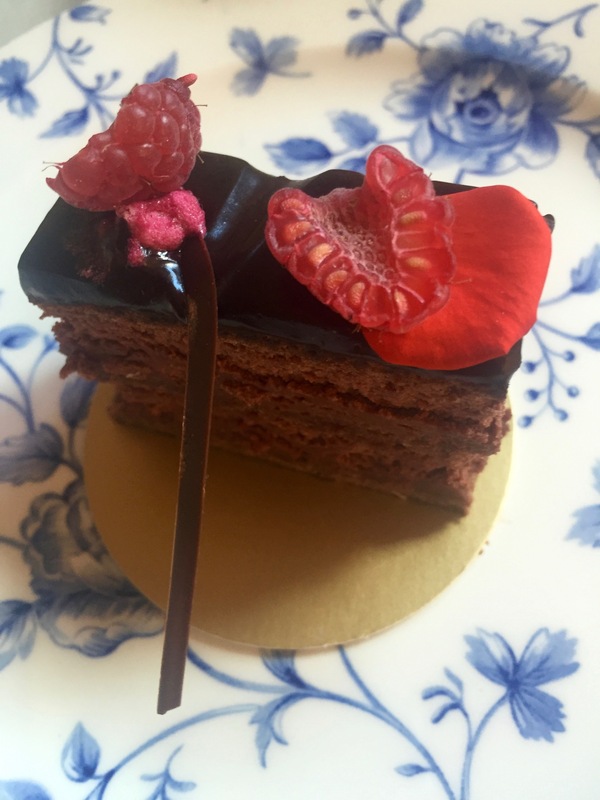 The Royal Box was a chocolate and Scottish raspberry opera style grand torte with 70% chocolate ganache, raspberry and dark chocolate glaze and decort chocolate. Much lighter and fluffier than I was expecting, I loved the chocolate and raspberry complementing each other in their sweetness and tartness. 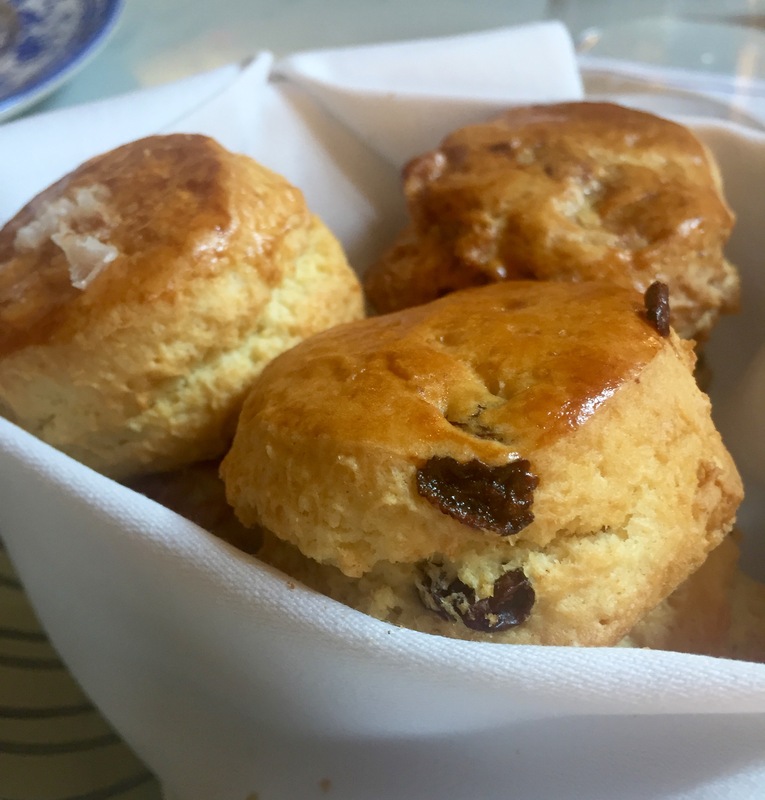 A bowl of three different types of scone (including sea salt which I really loved) also arrived with generous portions of strawberry jam and clotted cream. They were fairly mini thankfully and light and crumbly. Made into real indulgences with the addition of heaped jam and cream. For my second tea I opted for the orange rooibos. There’s a lot to eat and savour so it’s going to be a long afternoon (in a good way), so I took the opportunity to taste another brew. Rooibos hales from South Africa so I’ve drunk my share of it over the years but I’d never come across the orange version. It’s on my shopping list now – the citrussy addition really brings the earthy undertones of the rooibos alive. I loved the delicate patterned plates, here’s a close-up of my favourite sandwiches to tempt you. 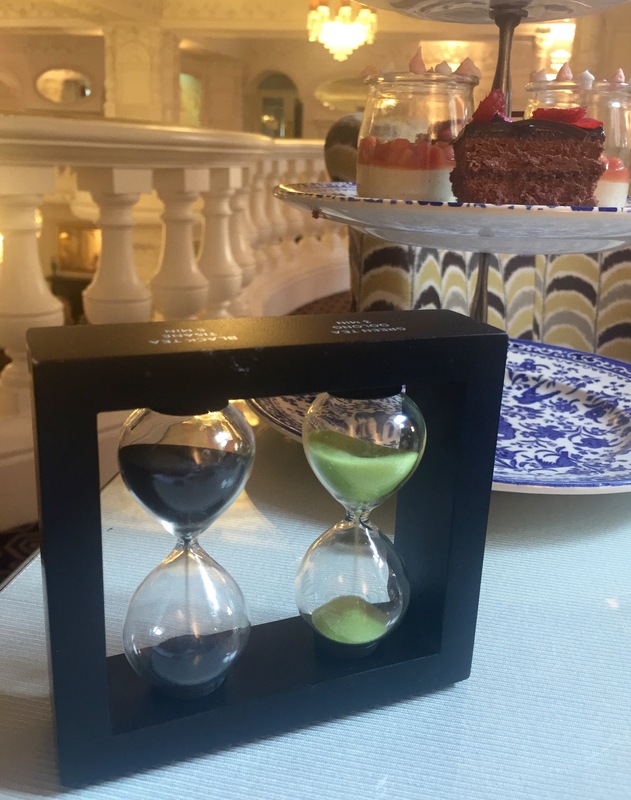 Your tea arrives with egg timers so you know when it’s ready to pour. 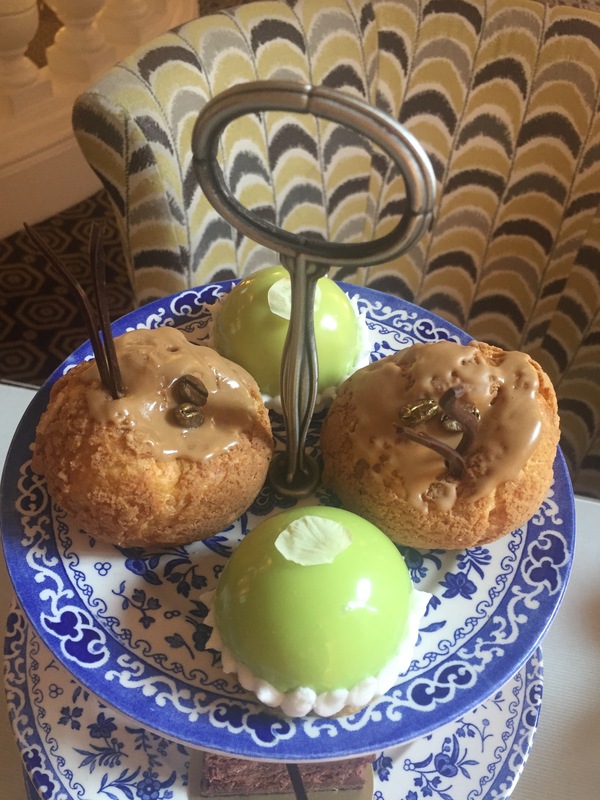 This is a delightful way to spend an afternoon, indulging in the best that full-on afternoon tea can offer in beautiful surroundings. I definitely felt that I’d been treated like royalty. Happy birthday Your Majesty, I look forward to celebrating more of them with you. The St Ermin’s Hotel is at 2 Caxton Street, London SW1 just two minutes walk from St James’s Park tube station. So Grand….wow, delicious and great photos too to have you salivating!! Thanks Esme, it really is a lovely (if somewhat filling!) way to spend an afternoon. Yes Fiona, it was a lot of fun and I loved it all! Such a treat.